Men and women who turn to medical weight loss in Beverly Hills may be interested to learn how exercise benefits the mind as much as the body. While medical weight management in Beverly Hills is the ultimate goal, fitness often also ends up having many similarities to meditation. The time spent in meditation and exercise both give back to your daily life. 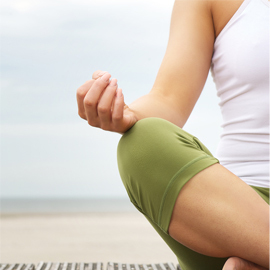 The calm of meditation and physical fitness are similar and make life that much easier. In both meditation and fitness, every individual is different. Each person will have a unique way that works for their schedule, body, physical ability and personal preferences. Fitness and meditation are individual practices and no two people do things exactly the same. The heart becomes stronger by spending time meditating or working out in a cardiovascular form. Better heart health is a side effect that is common between meditation and fitness. Stress is part of life and is not possible to avoid. Fortunately, meditation and physical fitness are effective ways to lower the stress hormone in the body and alleviate the feelings so that it is not overwhelming. High stress levels are particularly harmful to the body, so this health benefit is great for improved health. Meditation and fitness are about personal competitions and individual needs rather than collective needs. In fitness and meditation, improvements are made as the result of competing against previous abilities and constantly trying. Meditation is well known for the calming effect it has on the mind. Fitness can have a similar affect through the high produced by endorphins. It will also calm the mind and turn the focus inward rather than on external forces. Meditation and exercise allow the mind to focus and think. Other daily tasks do not afford the same focus and do not allow thinking. Meditation and exercise might seem different, but they have many similarities. It makes both a great addition to any weight loss management program.